Dr. John McGrail is a renowned clinical hypnotherapist, self-improvement expert and a sought after spiritual teacher. who has become one of our country’s leading media experts and public speakers relating to personal growth and successful life transformation. His company, A Better You, Inc., serves a world-wide clientele; individuals of all ages and backgrounds, as well as select corporate clients. Services include individual sessions, motivational presentations, training seminars, and workshops dedicated to personal growth and better performance at work, at school and at play. Dr. McGrail’s passion for helping people overcome the sometimes debilitating fears, limiting beliefs, and other issues that prevent them from living life to its fullest potential, led him to develop a unique and powerful process, the McGrail Method of Quantum Synthesis, or more simply, Synthesis. Synthesis represents an amalgam of Dr. McGrail’s lifelong study of the human condition and spirituality, more than 30 years of teaching and coaching experience and countless hours in private clinical practice. Dr. McGrail’s writing and expertise have been featured in numerous media outlets including Cosmopolitan, Redbook, Self, Ladies Home Journal, The Chicago Tribune, NY Daily News, WebMD, LIVESTRONG.com, Telemundo, TLC, MTV, ABC, CBS, WGN, and many more. 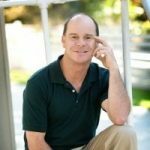 Dr. McGrail’s heralded technique, which has helped thousands in his Los Angeles-based practice, is now helping millions around the country and all over the world through his new book, THE SYNTHESIS EFFECT: Your Direct Path to Personal Power and Transformation (Career Press, March 2012). Hi Mark, TheSynthesis Effect is aobut living yourlife powerfully and in control; creating the reality you want rather than the reality you miight think yoiu are stuck with. It revolves around my Synthesis or Synthesystem method of integration between the conscious and subconscious in a very easy and powerful way. Change comes quickly and profoundly. And yes, hypnosis is an important tool in the Synthesystem, as it greatly accelerates the process. So, whatever the issue might be, like changing a habit, e.g quit smoking– which I GUARANTEE– or overcoming some other habit, emotional problem, or limiting belef, the systhem works. It is an absolute joy to help and watch someone transform their life in usually a few sessions; and for smoking cessation, it's one session– again, GUARANTEED! Blessings.